NATIONAL REPORT—We all know that guest reviews are incredibly important today. With virtually every guest reading online and social media reviews before booking, what they read in those reviews directly impacts your business’ success. Research shows that an improved online reputation drives increases in ADR, occupancy and RevPAR. In fact, your hotel’s social media review rating is now a better predictor of your success than traditional customer satisfaction metrics. But as hotels invest in improving reviews, many focus on technology and other amenities. What guests want is actually much simpler: a clean and comfortable stay. Cleanliness and comfort consistently rank as the most important factors in guests’ booking decisions. In fact, 86% of consumers say cleanliness is the main thing they’re looking for when they read online hotel reviews before booking. Really, this shouldn’t be surprising: it’s the basics of hospitality, and even the fastest WiFi can’t overshadow a stained towel or dirty toilet. The challenge is that today’s guests have a higher standard than ever for the “basics” of cleanliness. The vast majority (71%) of guests in a Trivago survey said they expect “above average” cleanliness ratings when choosing hotels. Thanks to endlessly available information at their fingertips, guests are more aware of public health risks and sanitation hazards in hotels and other public spaces. One study even found that millennials will readily pay more for guaranteed, enhanced disinfection. What they can smell: Scent is the number one source of complaints and negative reviews regarding cleanliness. It’s not just the smells of a previous occupant—they don’t want to be overpowered by scented cleaning products or air fresheners. What they can see: Guests want to maintain the illusion that they’re the first to ever stay in a room. They expect the room and everything in it to look and feel brand new—from the bed linens and towels, to carpets, furniture and fixtures. What they CAN’T see: As mentioned earlier, guests are more aware than ever of the public health risks associated with hotels and shared public amenities. This includes food safety risks in your food service program. And of course, the “invisible” risk on guests’ minds: bed bugs. Winning the review game can seem like a never-ending game of whack-a-mole—chasing new guest needs and wants to keep up with the competition. By focusing your attention where it matters most to guests, you can build a solid foundation for consistent guest satisfaction. The best news is that even small improvements can have a big impact for your business: A 1% increase in your hotel’s online reputation score increases RevPAR by 1.42%. Boost your rating by a full star (on a 5-point scale) and you can increase ADR by 11.2%. That’s solid ROI. 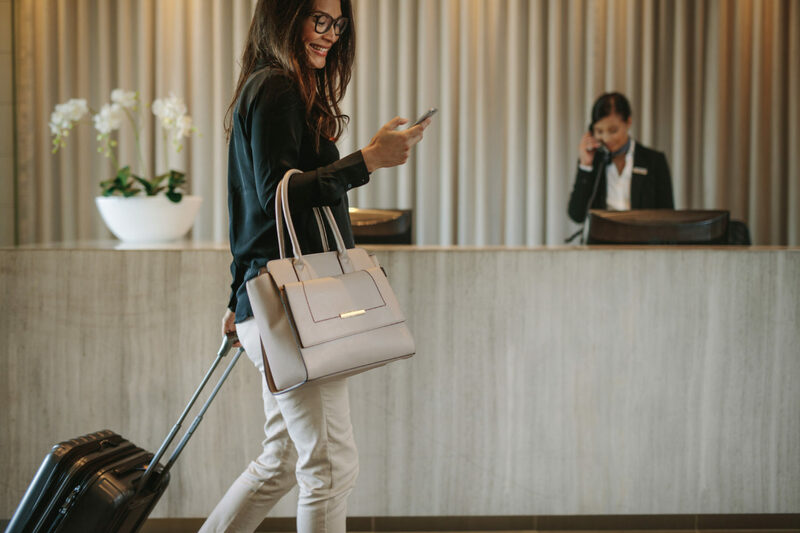 For a deeper dive into how you can delight guests, improve reviews and boost RevPAR, check out this short Tipbook and get simple strategies for a smarter approach to your hotel cleaning program.